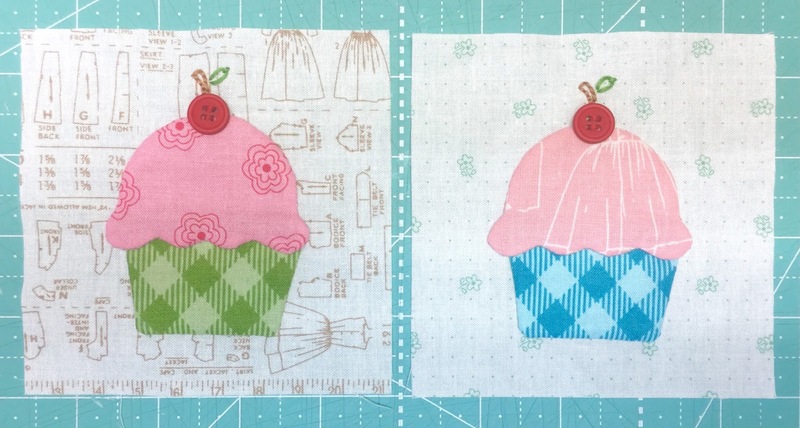 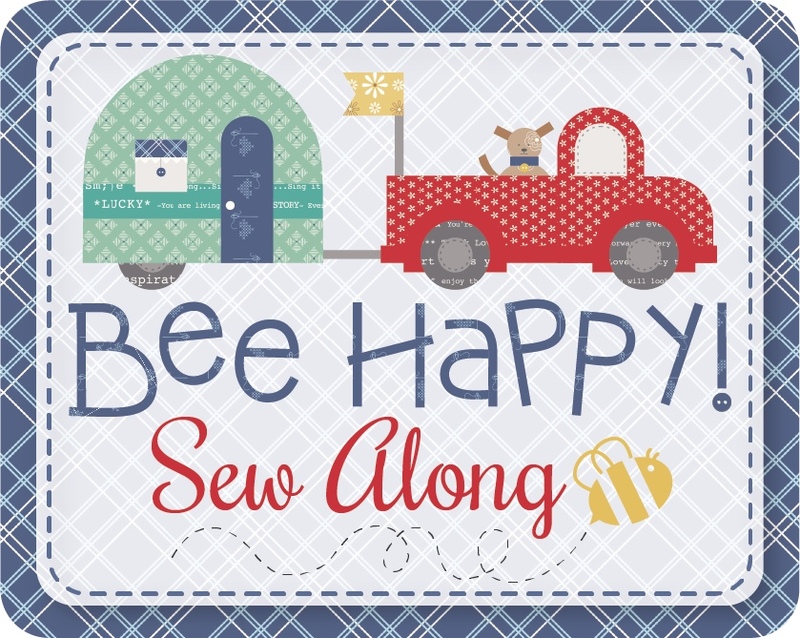 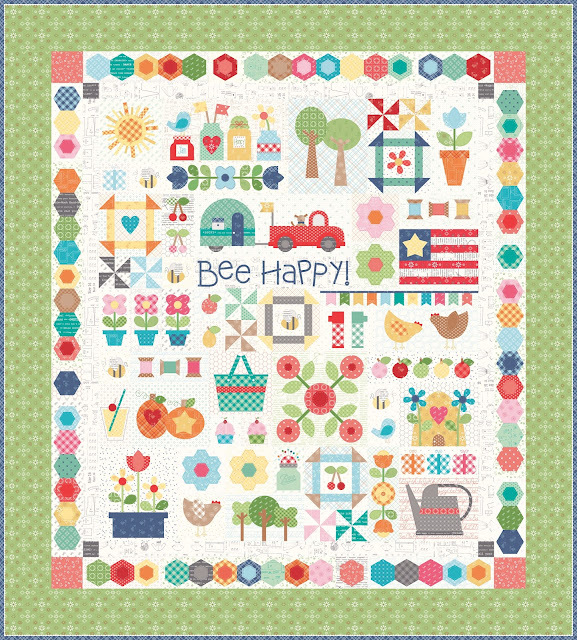 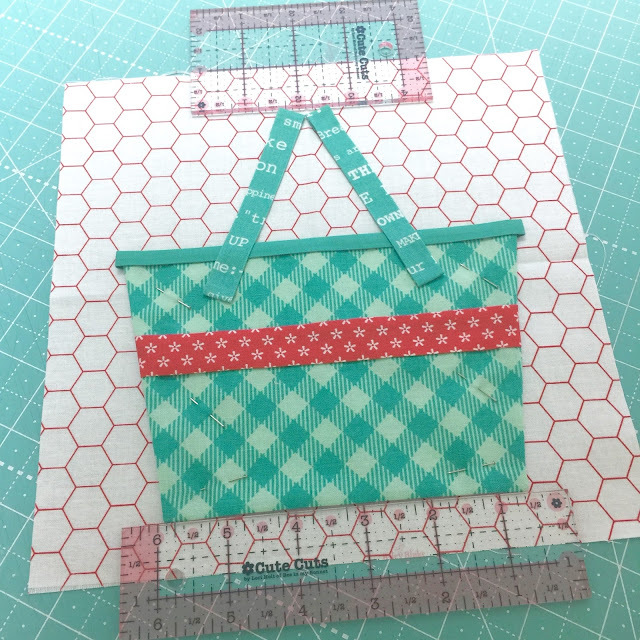 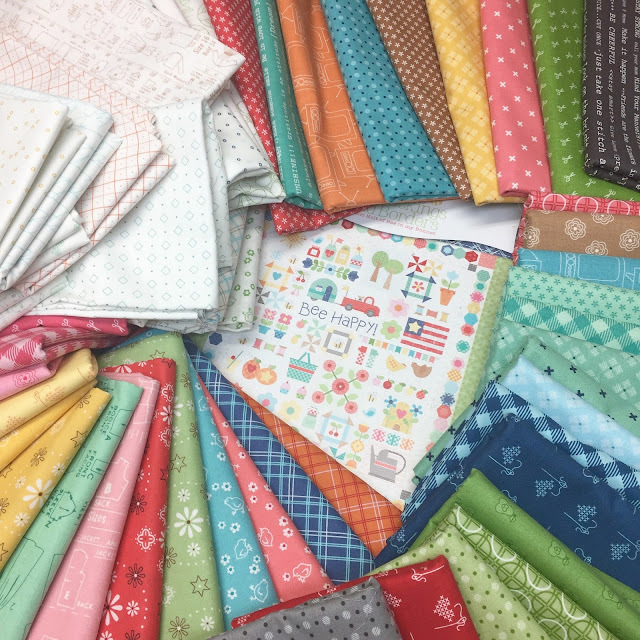 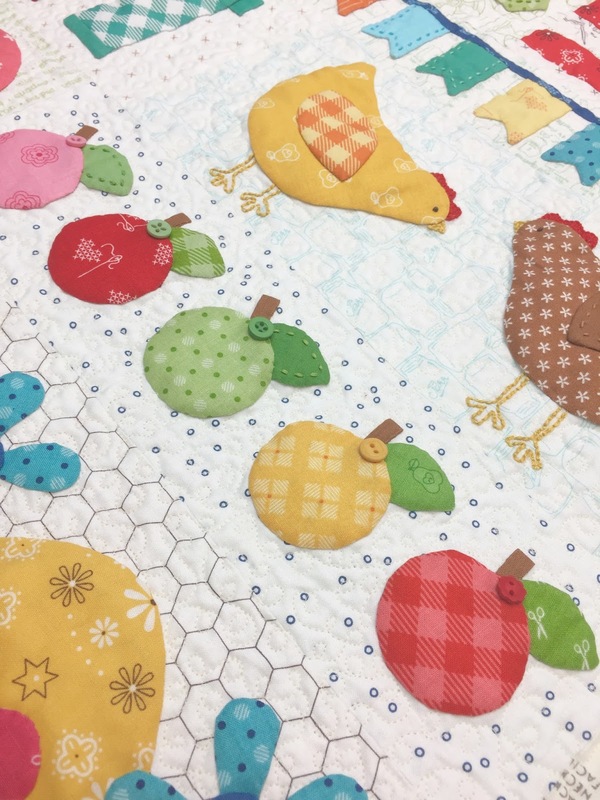 Bee In My Bonnet: Bee Happy Sew Along - Week Seven!! may have a kit left. glass of lemonade to go with! 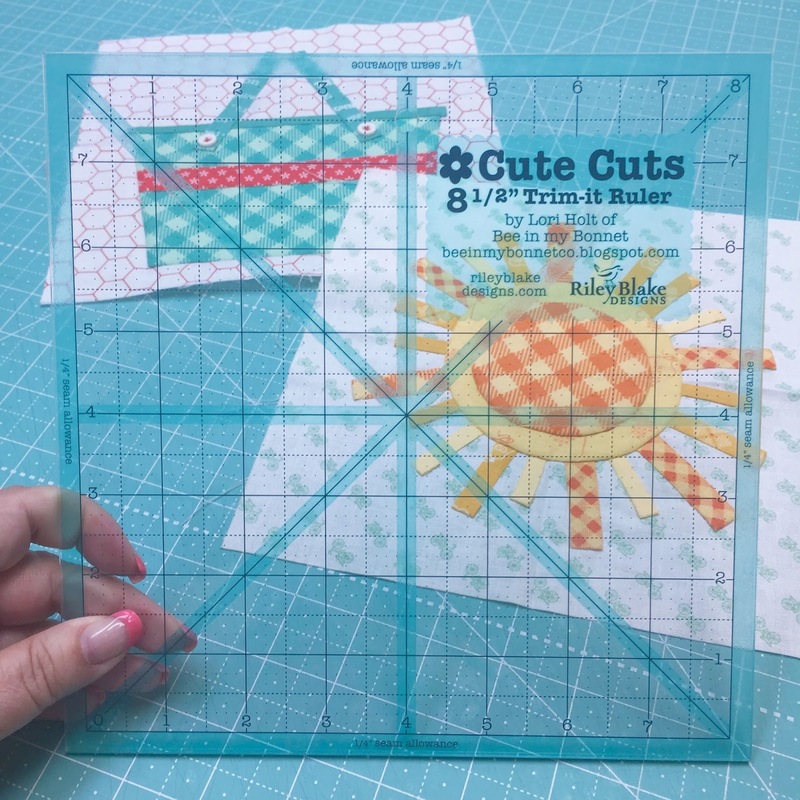 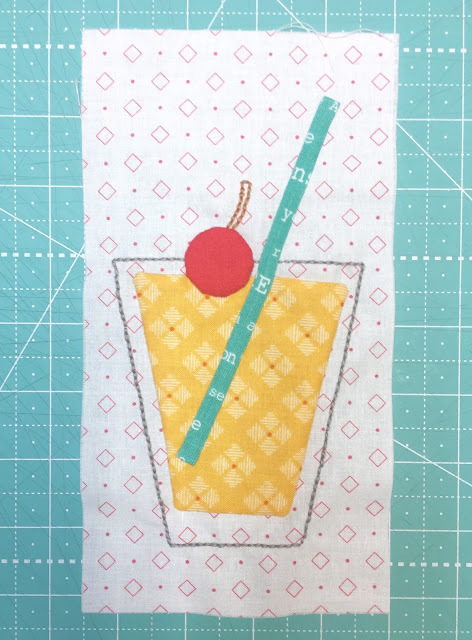 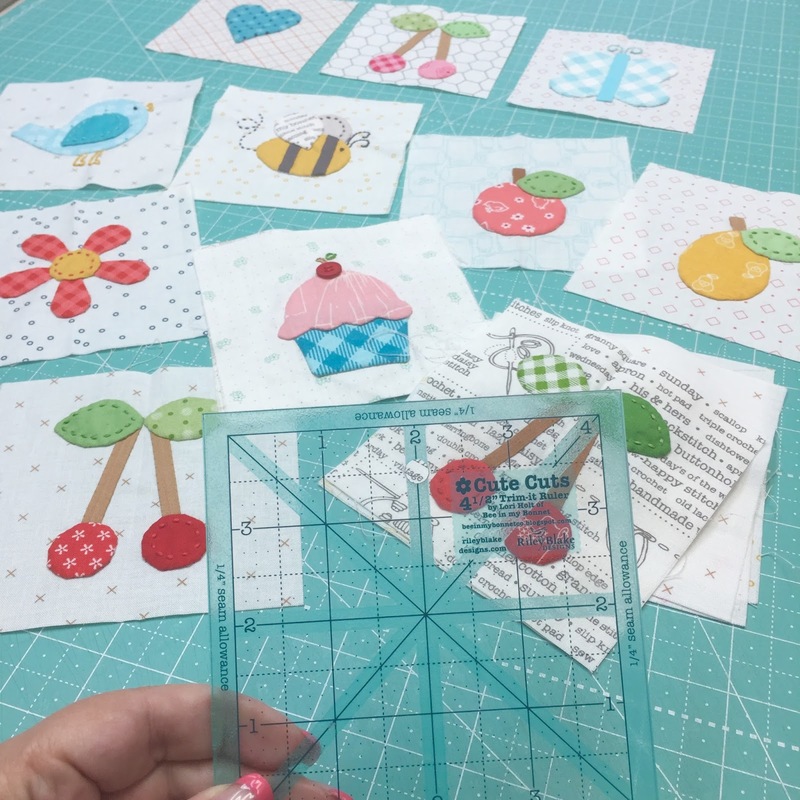 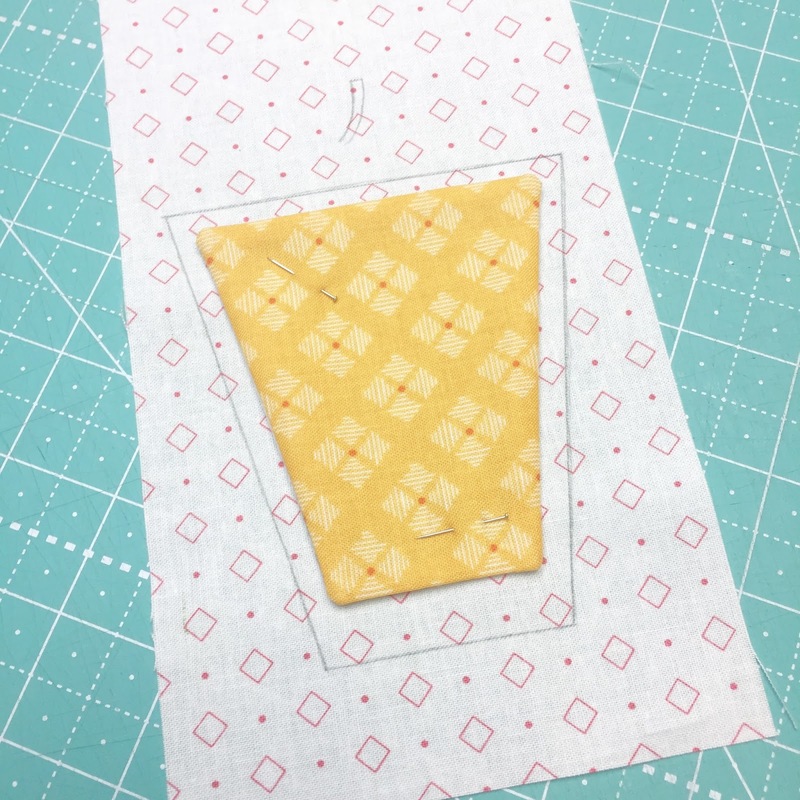 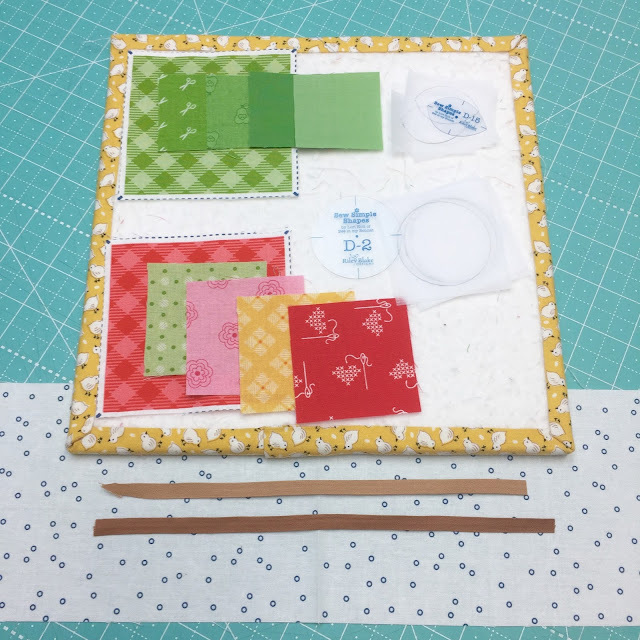 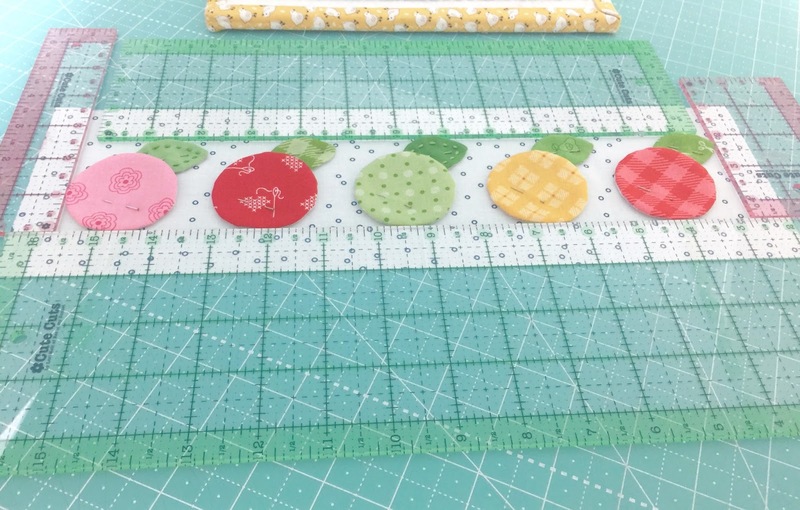 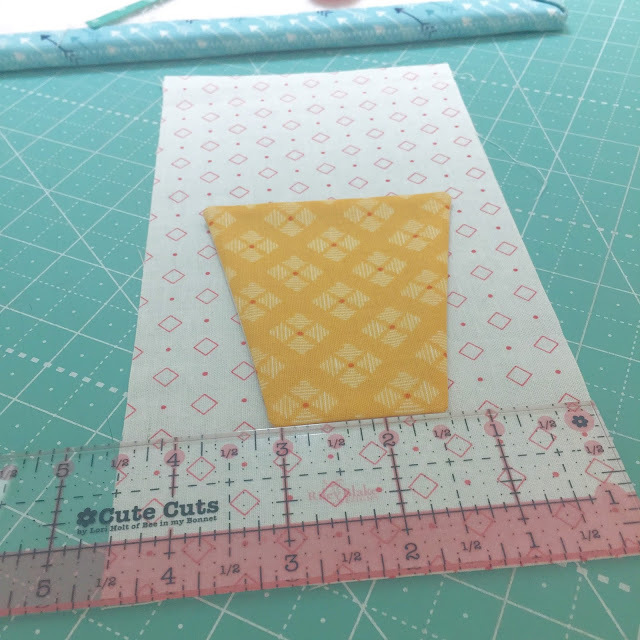 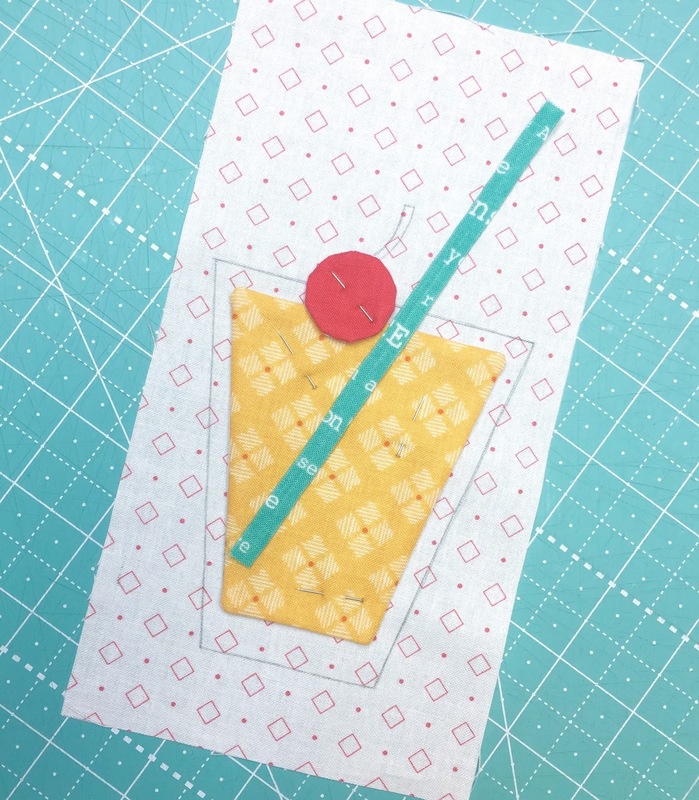 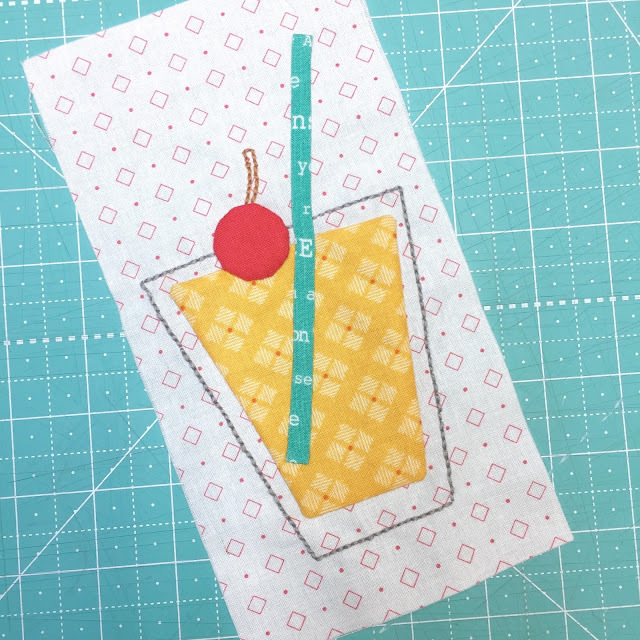 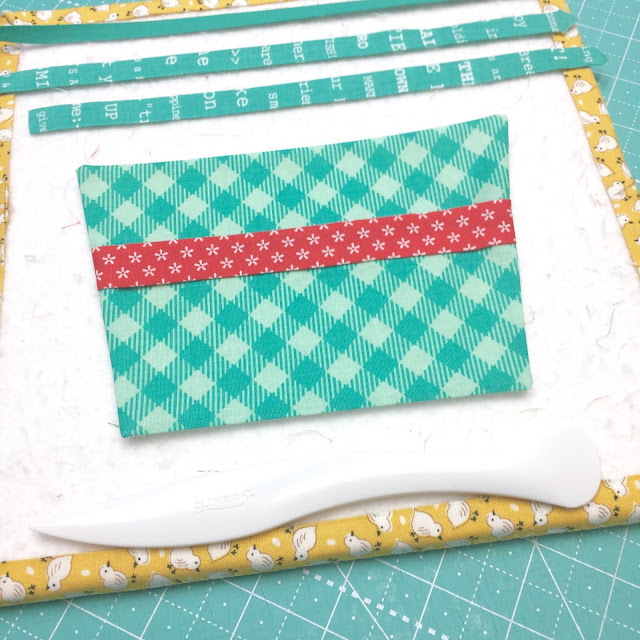 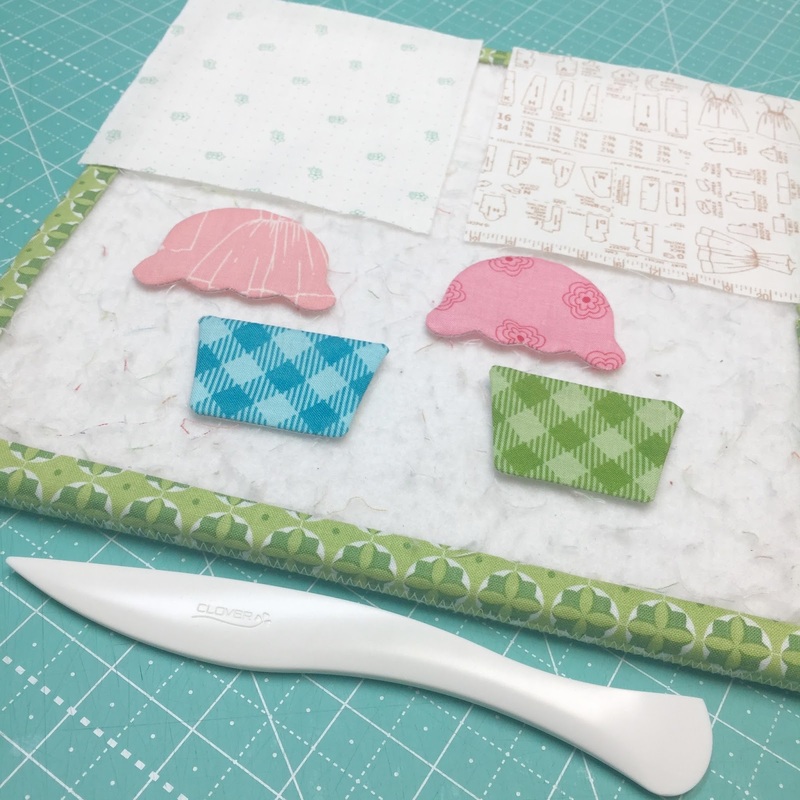 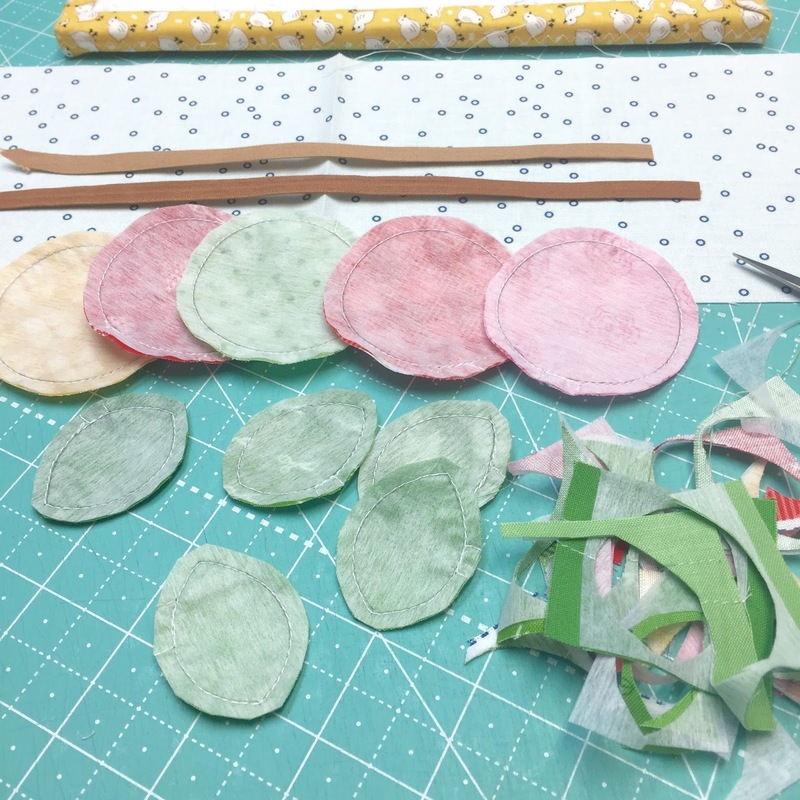 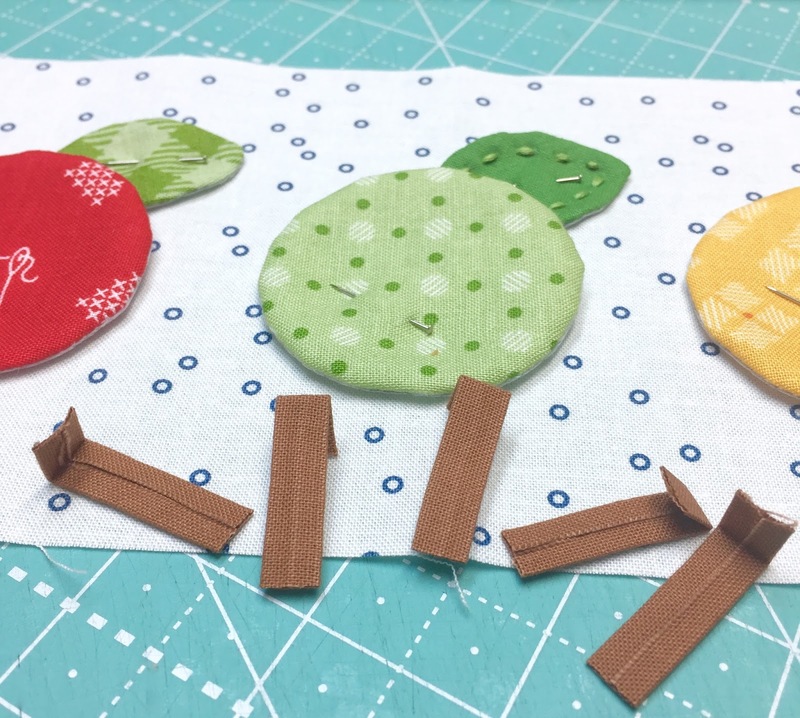 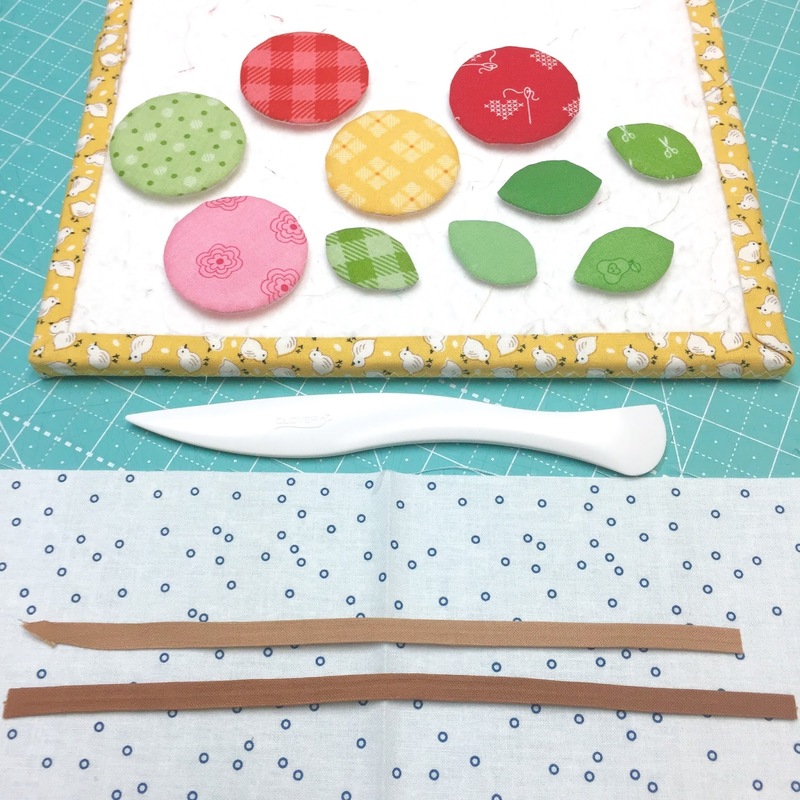 1/4" bias tape maker for a cute straw! 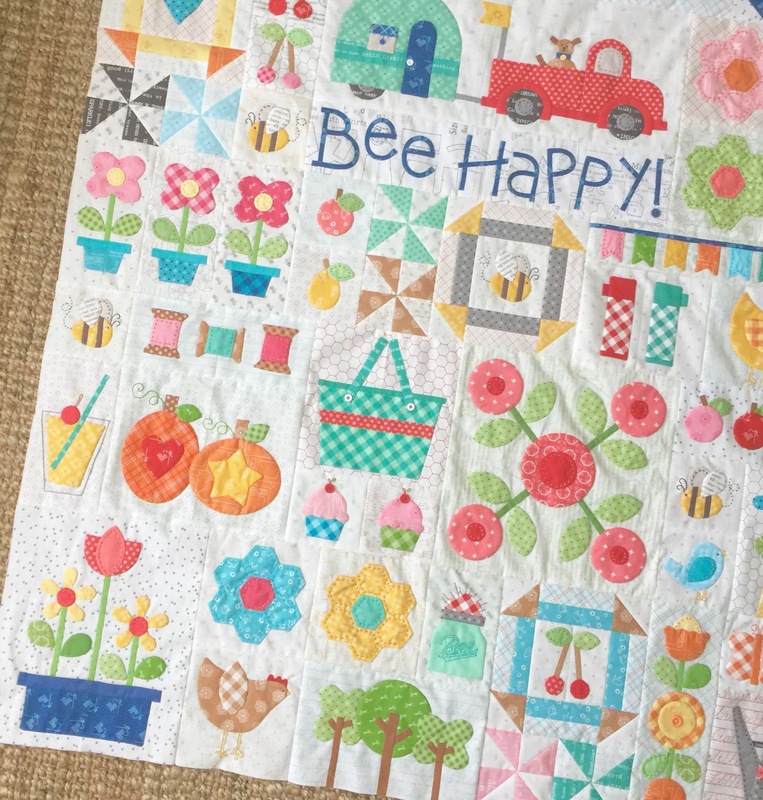 prepare your block for appliqué like this. 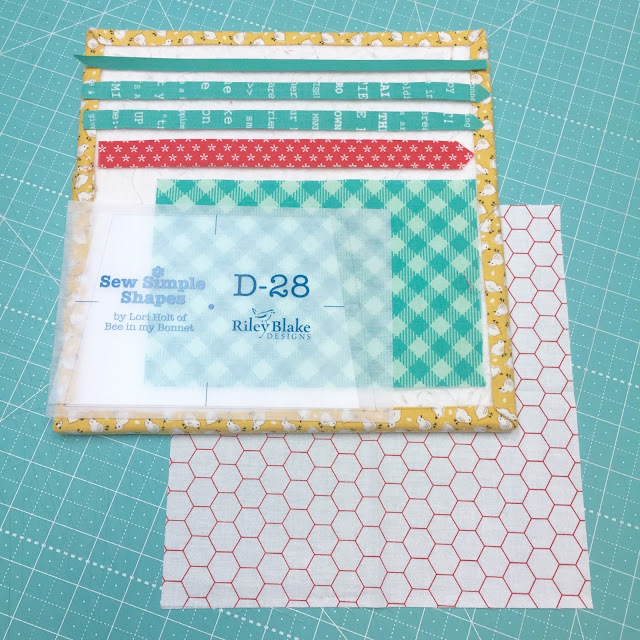 and the pattern in the sew along guide. 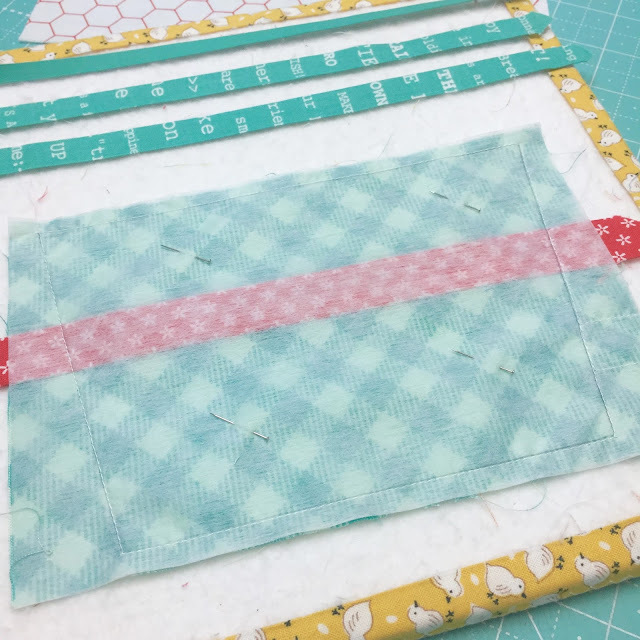 bias strip under and glue baste. 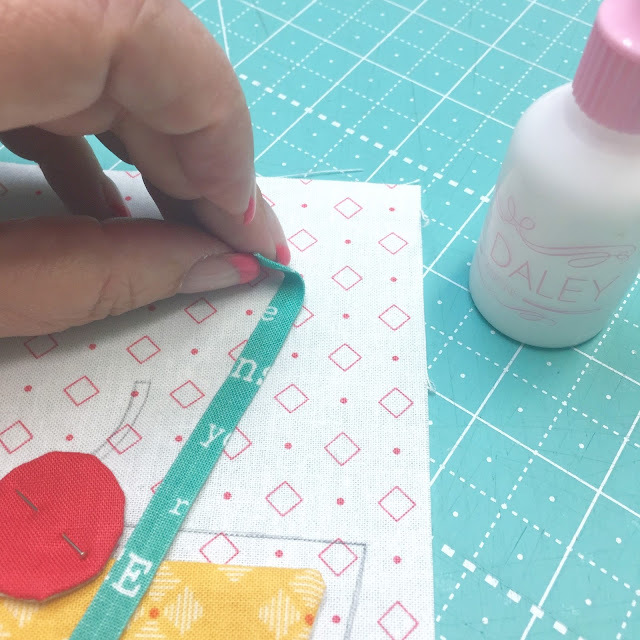 use your needle to "sweep"
Do the embroidery as well. 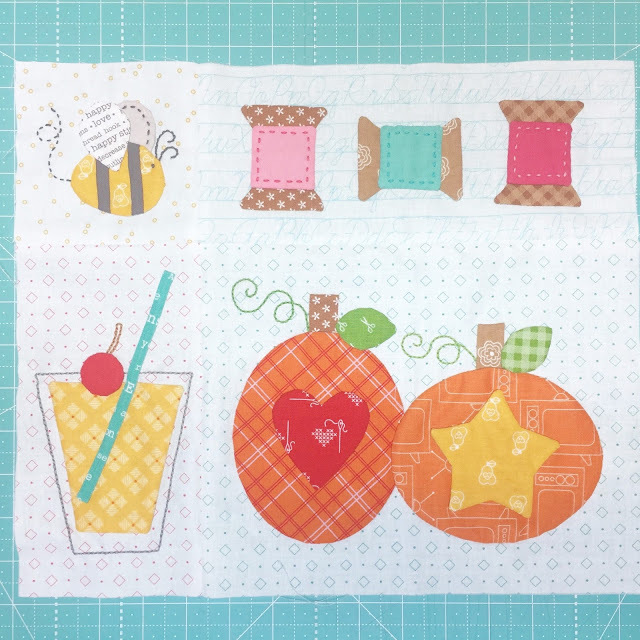 And is ready to sew into your quilt! 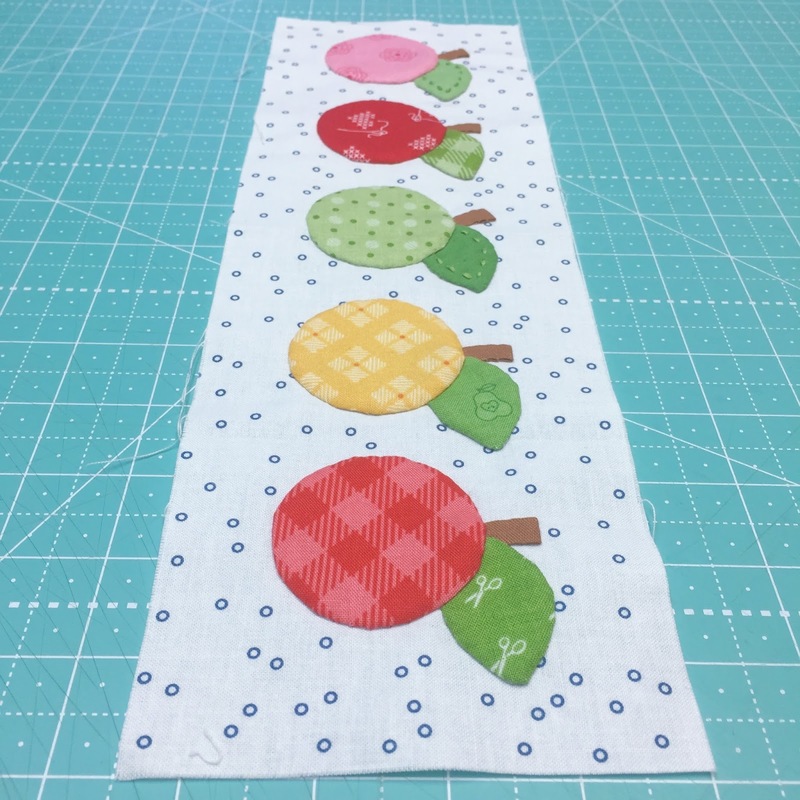 Now let's have some fruit! 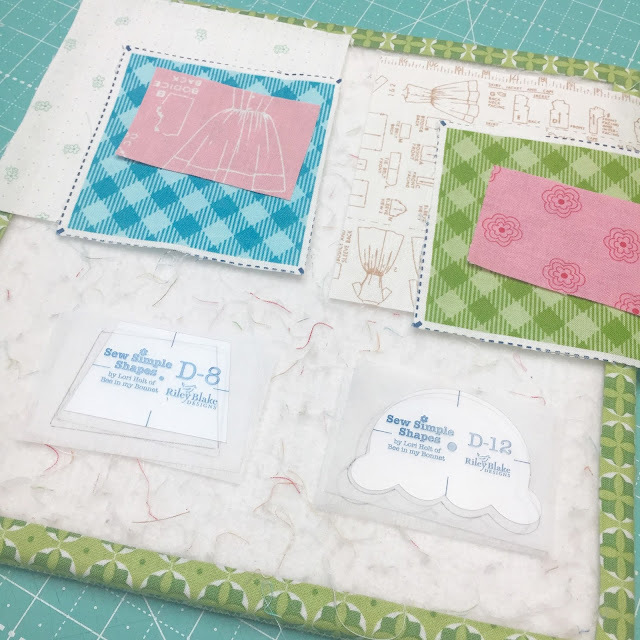 Let's begin laying out the block. Last to do are the stems. 4 1/2" x 14 1/2"
and is ready to sew into the quilt. 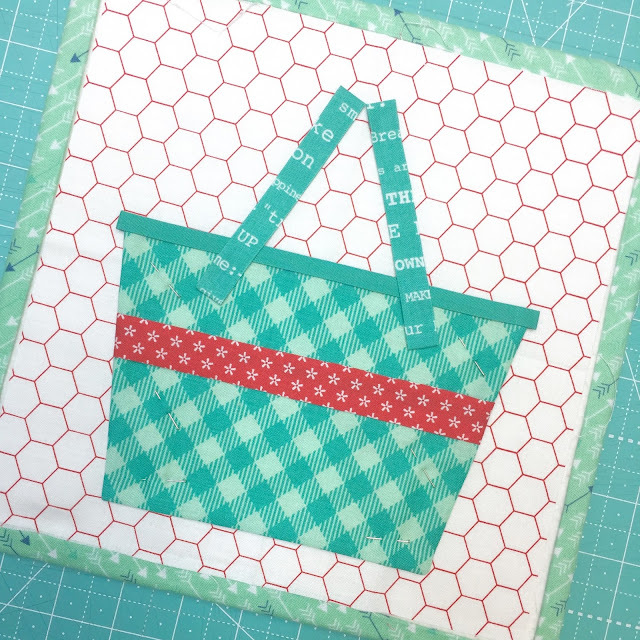 for the top trim of the basket. 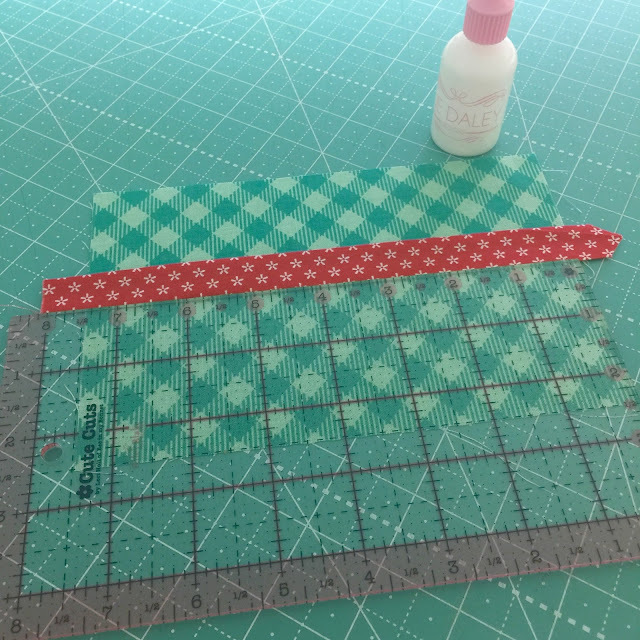 glue baste the red strip. Trim and turn as usual. 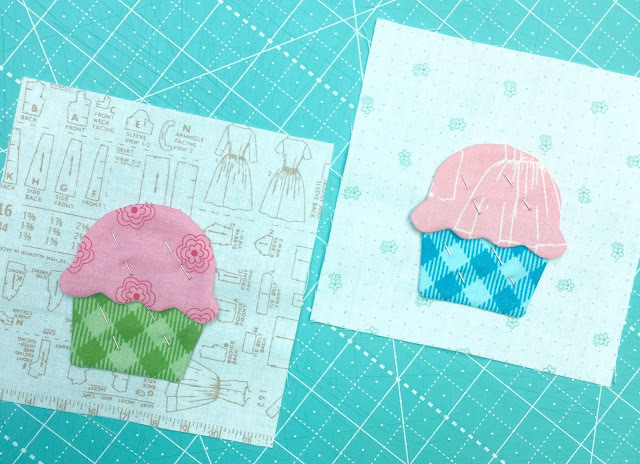 you appliqué the rest of the block. Ready to prepare the block! 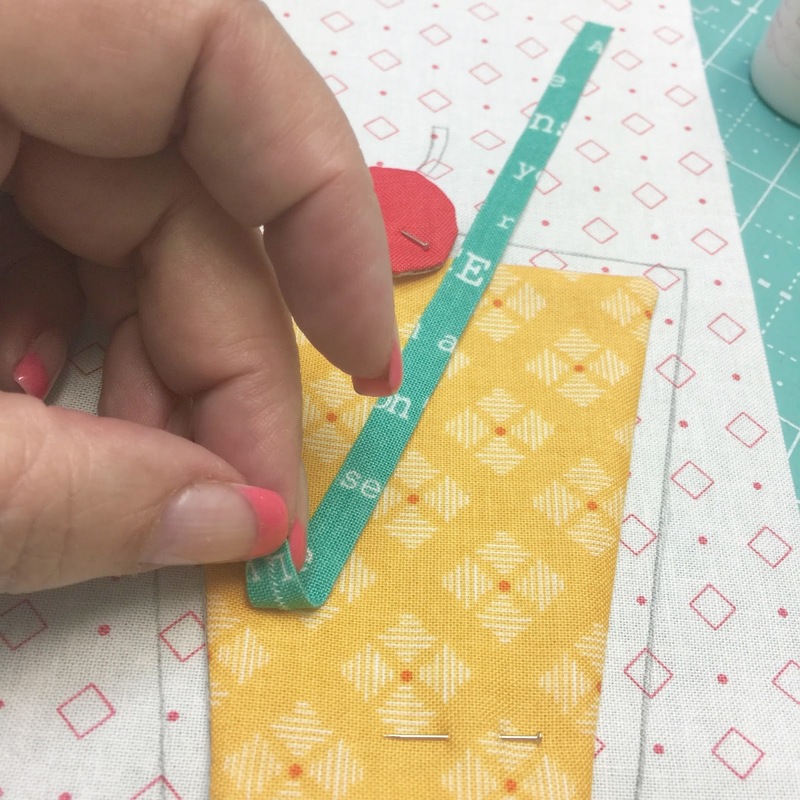 Trim your block to 8 1/2" square. 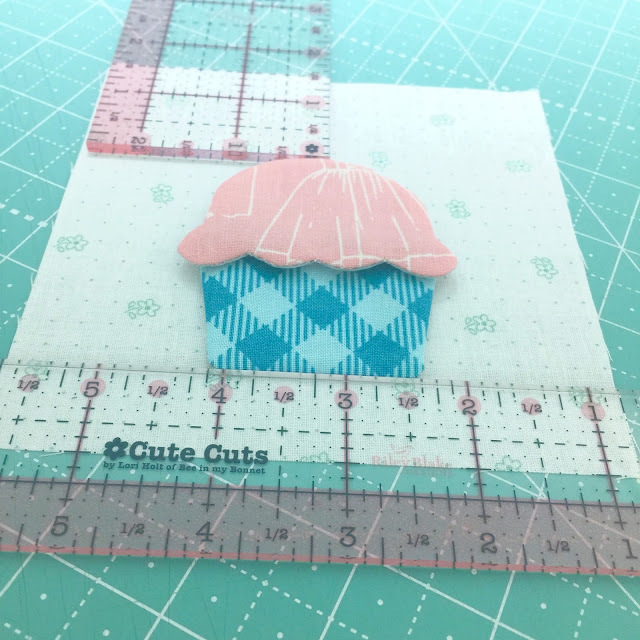 because I think it looks super cute! progress that you are making! 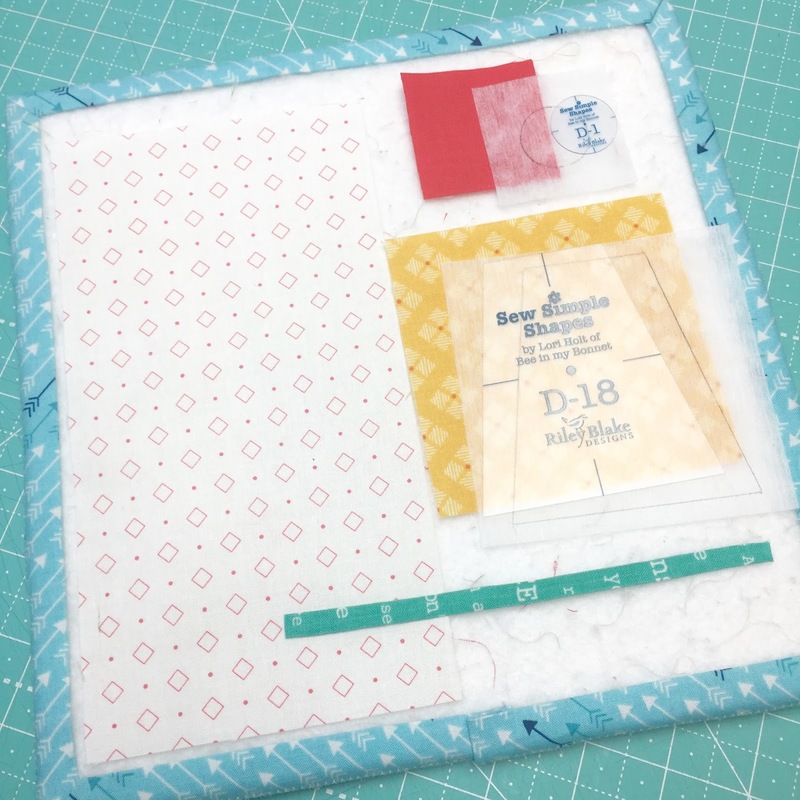 Lori, although I am not participating in the QAL, I always read them with great interest! Your designs and fabrics are the so clever. 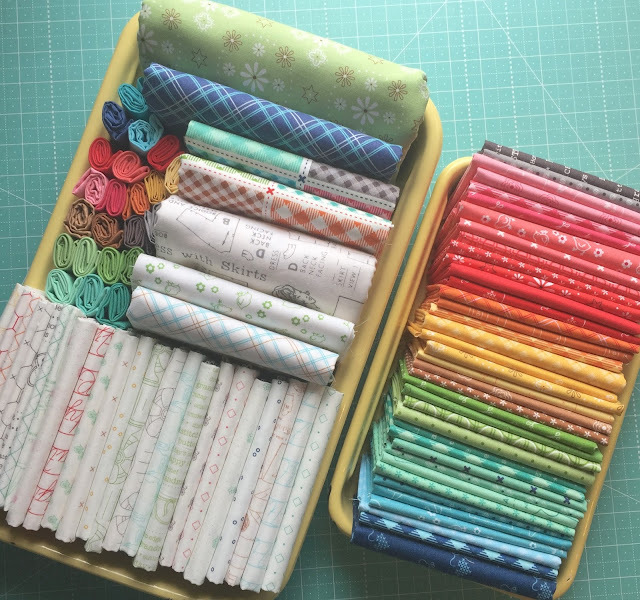 I have a question. 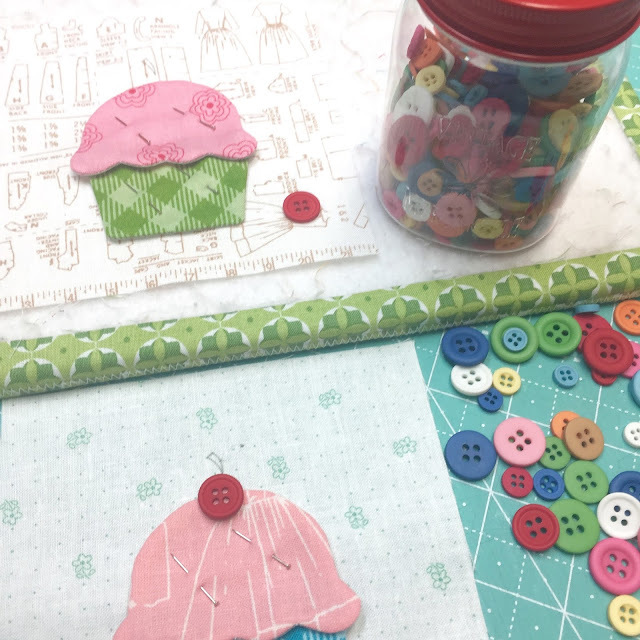 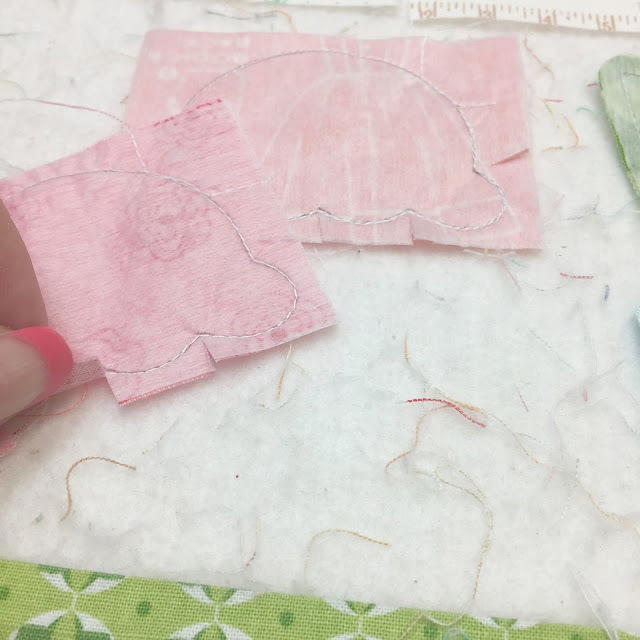 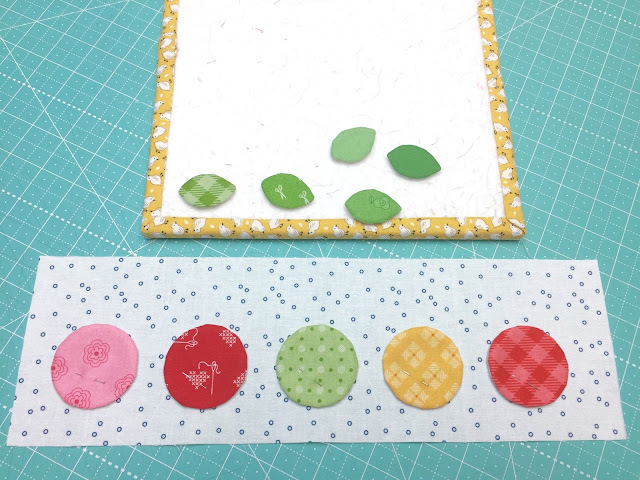 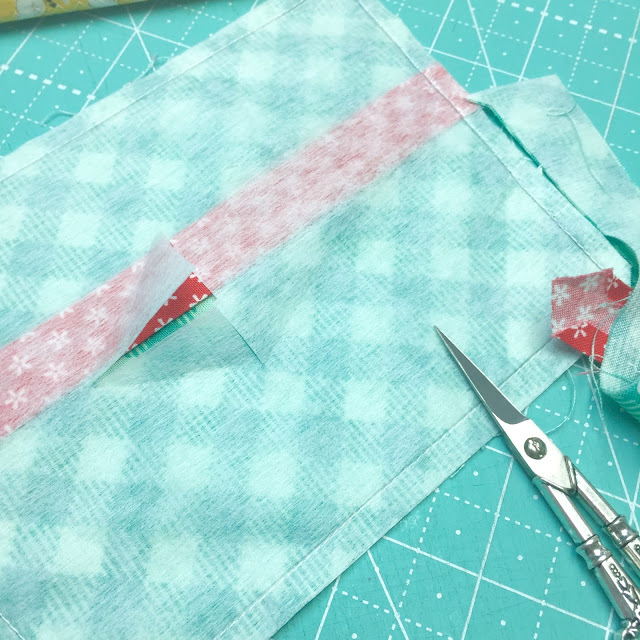 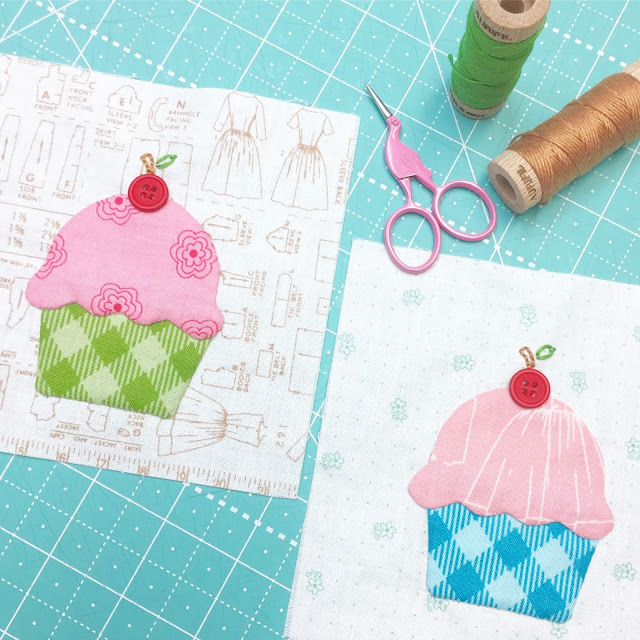 Your applique pieces always look so perfect when you turn them and I was wondering if you use a shorter stitch length than when just doing piecing?